For the trainee, whether athlete or non-athlete, recovery needs to be a serious consideration. Everyone talks about ‘overtraining’ but it could quite easily be said that there is only ‘under recovery’. Management of training load along with recovery and regeneration strategies ensures that ‘overtraining’ doesn’t even come into the equation. Recovery is the process of physically or psychologically overcoming the stresses caused by training. Rest – Time off with no training at all. Active Rest – Non-training days, supplemented by non-related physical activity. Strategies for optimal sleep, pre and post-workout nutrition as well as recovery days, download weeks etc., should be implemented. An attempt to include regeneration days into any training regimen should definitely be made, an adequate regeneration strategy could well be the difference between winning and losing. For the combat athlete, a post-competition strategy is just as important as what is done pre-competition, reducing both recovery time and aches & pains. Sleep is without a doubt the No.1 performance enhancer and the athlete suffering from a lack of sleep is only a shadow of their potential self. The ideal time to sleep for optimal performance is between 22:00 and 06:00 the following morning and while this may not always be possible, aiming for those times will go a long way in achieving both peak health and performance. Lights should be dimmed and phones and computers should not be used in the run-up to going to bed. The body’s circadian rhythm (biological clock) is altered by the blue light given off by electronic devices and energy efficient lightbulbs. Whilst blue light can be beneficial during daylight hours by boosting attention and reaction times it does have a negative effect on sleep patterns and so health and performance after sundown. For those that need to be using electronic devices at night, while not ideal, orange/amber lensed glasses have been shown to reduce the effects of blue light. Light causes the release of the stress hormone cortisol. Cortisol levels peak naturally between 06:00 and 09:00 and remain high until around midday and after which they start to decrease. Looking at electronic screens late in the day will elevate cortisol and prevent the normal release of melatonin. Ideally a bedroom should be pitch black, if this is not possible then the very minimum should be the use of an eye mask. The ideal temperature of the bedroom in order to achieve no disruption of sleep is 20°C (68°F). Any electrical items that are located close by and can be unplugged should be, to avoid further sleep disruption due to electromagnetic stress. Carbs before bed such as porridge or oatmeal raise melatonin and so help promote restful sleep. Caffeine, nicotine, alcohol and sugar will almost definitely disrupt sleep if consumed within six hours of going to bed. Boxing, MMA, BJJ, Muay Thai, Strength & Conditioning, Combat Sports, Athlete, Sports Performance, Online Coaching. It is often said by ‘experts’ that all the nutrients needed are obtained from food, if and it’s a big ‘if’ a person ate very, very well e.g. single nutrient foods with very little processed rubbish and optimal amounts of clean water were consumed then this person could be very healthy. A combat athlete on the other hand even if their nutrition was planned and executed in this way would still find it almost impossible to get everything that they need from the food. Obviously if excellent health is non existent then operating at their genetic ceiling for elite level sports performance is impossible but even then, as a fighter there is a big difference between being very healthy and taking on board all the nutrients needed to be the best in the world. In this day and age this type of supplement seems to be used more often than not. Ideally pre-workouts should be used only when the fighter has not had enough sleep and it would be dangerous for them to do a hard training or sparring session. If a fighter starts to rely on this type of supplement then it will begin a vicious cycle of being ‘tired but wired’ with the inability to train without stimulants. While it might not give quite the same ‘buzz’ a strong cup of filtered coffee could be a much safer alternative, plus coffee does also offer health benefits. Another major reason why a pre-workout supplement might not be the wisest choice is that there have been some that have been found to contain substances that are banned by some sporting organisations, plus others have been shown to contain amphetamines or the party drug DMAA. Not all pre-workout supplements contain stimulants; some only contain ingredients that are advantageous for a superior workout. There are pre-workouts supplements available that have been through an extensive testing process to avoid the possible failing of drugs tests due to dubious ingredients, these supplements are ‘NSF Certified’. The more resistance training a fighter has in his programme the more protein he will need, this will increase with intensity, volume and application of the big compound lifts which would be included in a well structured programme. There are various forms of protein powder some are better than others and a persons choice may be affected by other variables e.g. vegetarianism. There is much debate as to the timing window immediately after training in which protein should be consumed but a sensible approach would be a protein shake as soon as possible after training and then a meal rich in high quality protein and carbohydrates as soon as hunger kicks in. Whey protein is the preferred choice for supplementation. Whey Concentrate is the cheapest of the three. It is around 80% protein and does contain high lactose levels. Whey Isolate is more expensive; it consists of over 90% protein and is generally 99% lactose free. The best form of isolate has been converted from concentrate using cross flow microfiltration. Whey Hydrolysate is the most expensive and contains digestive enzymes and is reported to be absorbed by the body faster. Creatine Monohydrate has been shown to be far the best form. For a fighter the ability to reduce fatigue while maintaining high levels of force and so continuing to be explosive means creatine supplementation is invaluable. 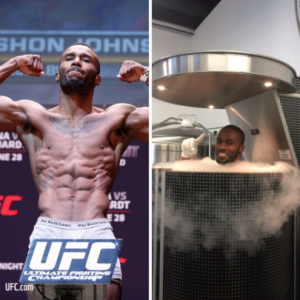 Something that a fighter will have to take into account when supplementing with creatine is that it helps the body’s cells retain water, which has a positive effect on performance but the downside to this is that the fighter will have a higher body weight, so ideally creatine supplementation will stop around 6 weeks before making weight. L-Leucine can help you retain muscle while making weight, there is a narrow window lasting under 3 hours for l-leucine supplementation, with an initial post-workout period of inaction lasting around 30 minutes. For a fighter preparing for a fight, the use of whey protein high in BCAA’s, BCAA’s and l-leucine would be valuable when training for strength, explosiveness and/or changes in muscle size. The results of the many studies done on beta-alanine are mixed but it seems that an athlete such as a fighter that has to have a high level of power-endurance with the ability to generate explosive power over repeated efforts would benefit. However a study was done in Wales by Donovan T. et al (2012) found that supplementation with Beta- Alanine using 6 grammes per day for 28 days significantly improved punch force and frequency in elite amateur boxers during a simulated contest. An increase in punch force of approximately 20kg was found and an additional 5 punches in a 10 second period measured. Another benefit to a fighter is that the study found no side effects or weight gain. Adaptogens help to keep the body healthy while under stress and when used in sport can enable the athlete to train harder, for longer and promoting faster recovery and so avoidance of overtraining. D-ribose and/or creatine can help delay the ‘critical drop-off point’. The critical drop-off point is the point in a workout where by any further training would have no benefit and would hinder recovery. Caffeine was a banned substance through the World Anti-Doping Agency (WADA) until 2004. It is not advantageous to depend on a substance such as caffeine as a training stimulant. The more the athlete uses, the less of an effect the caffeine has and excessive use will lead to adrenal fatigue. Galanthamine – Has been shown to improve striking force, reaction time and starting strength. It has also been shown to increase reaction time, striking force and Rate of Force Development (RFD). It has been shown to improve fine motor skills and mental sharpness. Appears to have cognitive enhancing properties. It raises growth hormone production and one study showed that it increased power output. 600mg Alpha-GPC supplementation prior to a power test, reported a 14% power output improvement relative to placebo when taken 45 minutes prior to activity (Ziegenfuss, Landis & Hofheins, 2008). Taurine – An amino acid that has been shown to improve muscle contractions in explosive situations and reduce muscle fatigue in endurance events. mma training, strength training, boxing training, muay thai training, boxing workout, mma workout, muay thai workout, bjj workout, professional athlete training, strength & conditioning, fighter workout, online strength coach, strength & performance coach. When writing programmes for young combat athletes it is even more important to look at programming for the long-term. Planning ‘Long Term Athlete Development’ (LTAD) helps ensure the young fighter is on the path to excellence and not burnout. The parent should observe the coach and assess as to whether the child is on the same type of specific, highly intense programme as the adult fighters. If this is the case the coach may either not be too sure of how to implement a more youth suitable programme or worst case scenario could be only interested in achieving rapid results for his own ego and/or reputation in his ability to produce young champions. The second point would also be true for the coach that has kids cut weight, in this scenario the coach has absolutely no respect for the young fighters health or long-term well being. There are always rare exceptions but generally an adult champion built a firm athletic foundation as a youngster, sampling many sports without being on an intense training programme. Encouraging young athletes to focus solely on their development in one sport before they are ready both physically and psychologically often leads to problems. Leading to unilateral, narrow development of the function of the muscles. Long term, there can be the development of overuse, overtraining and both acute and chronic injuries. There can also be a negative impact on the mental health of the children involved, stemming from the high stress levels that this type of training creates. If the programme is too stressful, boring and lacking in fun, it can have a negative affect on the motivation of children. Often young athletes will burnout early and quit the sport. Specialisation should take place once there is a good multilateral foundation. This is best achieved by developing fundamental movement skills from sampling different sports as a youngster. If specialisation is done later and so improving the chances of injury avoidance and/or burn-out the young athlete will also have more desire to specialise in their chosen sport. Once it has been decided that it is the correct time for the young combat athlete to specialise then training intensity increases and high-level competition is scheduled. In sports such as the combat sports where power accounts for a large percentage of the attributes needed, then it has been shown that better results are achieved if technique is practiced at a young age but specialisation doesn’t take place until the athletes are physically able to deal with high intensity training. 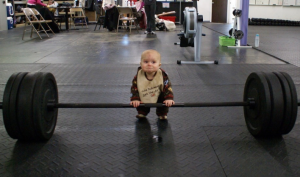 It is generally agreed that this high intensity training should start towards the end of an adolescents growth spurt. If structural balance tests are performed and a young athlete is found to have good structural balance then the main issue would be a lack of strength, so in a way this athlete would be much easier to train on a strength and conditioning programme. When looking at the training of the youth combat athlete it’s important to not only look at chronological age. We must consider age anatomically, biologically and also athletic (training) age. It has been shown that children who specialise in a sport too early will peak at around 15-16 years old and never quite make the grade as an adult. Some even burnout and quit by the time they are 18 years old. Biological age is the development of the body’s organs and systems used to influence physiological potential. While anatomical age can be seen, biological age cannot so a strong-looking tall young athlete may not be superior to a smaller more agile child. If the youth combat athlete performs resistance training with proper technique and progress is made at a sensible rate and is not too aggressive then injury risk is very low, even to the growth cartilage which is often the concern. Resistance training for the youth combat athlete should be programmed so that training sessions are shorter than those of adult combat athletes. 30-minute (not including warm-up) sessions, 3 times a week is ideal. These movements should be used to build a solid foundation for athleticism. Encouraging normal outdoor activities/play such as climbing trees etc. incorporates bodyweight exercises into a youngster’s lifestyle without being regimented. A good strength and conditioning programme for the aspiring youth combat athlete will help create good posture by placing the joints in a much closer to optimal alignment and will also lead to a massive improvement in coordination, power, speed and endurance, this will also greatly reduce the risk of injury. mma training, strength training, athletic sports trainer, boxing training, boxing workout, fighter workout, mma workout, bjj workout, professional athlete training, strength & conditioning coach, fighter workout, online strength coach. There are some very knowledgeable elite level personal trainers who have taken many years and spent a lot of money to become an expert in their chosen field. As with any other profession there are those at the very top and those who have little qualifications or experience. Personal trainers tend to have knowledge on training the general public and many also are very skilled in the area of special populations i.e. people who have to be trained with special considerations, the elderly, pregnant women, people with disease etc. Personal trainers very rarely know how to train athletes. A Strength & Conditioning Coach has gained knowledge both in the classroom and the gym in order to achieve ‘Sports Performance Enhancement’ with clients who’s goals are to become stronger and faster. Obviously there are always exceptions but generally an S&C coach is also proficient when working with general pop clients. What is a Strength & Conditioning Coach/Specialist? Practitioners with the specialist skills to write and coach physical preparation programmes for performance. It includes processes that result in physical adaptation through integrating fitness components into a programme, which compliments other aspects of the performer’s development. The above are the ideal when looking for a coach but it’s not black and white. There are people with a degree maybe even a masters in S&C who have never trained anybody, some would have no idea how to train a person whether an athlete or the average guy in a high street gym. Then there are the opposite, very high level coaches who have never been to a university but these guys have spent many years and vast sums of money travelling the world taking certifications and learning from the worlds best performance coaches. As well as training athletes or general population there is another area of expertise that also requires skill and knowledge, this being the ‘Physique Coach’. Now this area might not require the academic qualifications that a S&C coach has but it is indeed an area where great expertise is required. When looking for this type of coach it’s very important that the coach walks the walk. You would expect them to be in phenomenal shape and if not they can show you that they have been there in the past. If employing a physique coach you would expect them to have some evidence to show that they have experience in the preparation of another individual for the stage. In the past i’d judge a trainer by what I could see when watching them even if it was for only a few seconds. Now my attitude has changed a little, if I see a trainer who I can tell is inexperienced but he/she acts in a professional manner and teaches exercise in a safe way, if I know they don’t change a great deal of money, say $25 then I like them. It’s all about value for money, to me a trainer in a gym charging $60 can be overpriced while another trainer in the same gym charging $150+ can be worth every penny. A good coach or trainer will always teach (insist on) good form. Besides getting better, faster results, they are also giving better value for money, showing more personal attention and a greater attention to detail. Plus, if if a client has been educated on how to use the equipment correctly or perform an exercise properly then there is far less chance of injury. If a person is hurt performing an exercise because they are doing it incorrectly then the person who taught them the exercise could be held responsible. A coach/trainer should never be arrogant, if they don’t know something they shouldn’t pretend they do and proceed to give incorrect advice/instruction, you will have much more respect for them if they say they are not 100% sure and that they will find out. Also it’s impossible for a trainer to know everything, it’s always better to refer to somebody else rather than delve into an area that they have very little knowledge in e.g. if somebody has a problem refer to a physio or chiro etc. The trainer needs to know what each exercise does, if for some reason you can’t do the exercise then they should use their discretion and substitute for something else but again document the change. The trainer should personally be able to do the exercises in the workout, there’s no disgrace in them not being able to do something but if he/she can’t do it then they shouldn’t ask you to. Especially as good form needs to be demonstrated. This doesn’t mean that they are expected to be as strong or explosive as their clients, especially athletes but they do need to be able to demonstrate the movement with excellent form. Some people say that a strength coach or trainer should never sit down while training a client, I will not argue with this as it could quite easily be viewed as unprofessional/ lazy etc. Saying this I personally do very often make sure that I am on the same level as the client, I feel comfortable at this level and know that often I can see good or bad form easier. Usually I will be on my knees or squatting, occasionally I will be sat down and if the client is on the floor sometimes I will be on the floor with them. There is a big difference between being on the same level and being sat down because you are lazy, it is not too uncommon to see trainers sat down for the whole workout, even when the client is doing something quite a distance from them, this is the last way that you want to be viewed by others. While you are performing the exercise the focus should be on technique. There should not be random conversation during the set especially coming from the trainer. If conversation is happening during the set then this is a massive indication that either the resistance is nowhere near heavy enough or that the training is very poor or both. It’s impossible to be in a good mood all the time but every effort should be made be the trainer to be as positive as possible whenever you are trained. Remember even if in reality the world is not all roses, for that one hour, with you it’s your time. The last thing any conversation should be about is the trainer’s personal problems. They should be friendly but very professional, if the relationship becomes too friendly the quality of the training suffers drastically. While if there is a certain level of friendship the relationship is a positive one, it is possible to become too friendly in which case friendship overtakes the professional relationship and it’s possible for the client to begrudge paying so much money for the time of a ‘friend’. The trainer should not use their phone while training you, the only possible exception is to use the stopwatch feature but an actual stopwatch does look more professional. Remember that there are many other ways that you could be spending your money, if you pay for an hour of their time then you are entitled to their full attention. Also unless there’s a possible emergency such as a sick child then the you should not be using a cell phone during the session. If you think that you need it because you are so important then you are obviously not as important as you think you are if you don’t even own an hour of your own time. Be wary of employing a trainer just because they are in good shape. There are a million trainers in the world who look fantastic (even famous ones) who have absolutely no idea how to train somebody else. 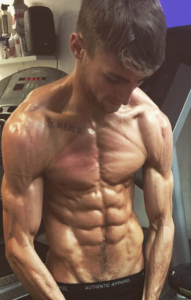 It’s all well and good that they post photos on social media of their own abs but if you are giving them your hard earned money you need to know what they can do for you. You need to see what they have done for others. Start position – feet are placed in the jump position with the bar over the lower end of the laces. There is some debate as to the angle of the back, some coaches suggest that the start position should be similar to the deadlift with the first pull producing a more mechanically efficient vertical bar path. While other coaches advocate a more upright posture, minimising torque at the hip and with the theory of eradicating early fatigue of the lumbar erectors, arguing that the muscles of the lower back become tired and so it will lose rigidity during the second pull and flexion is inevitable. Both techniques have shown great success and are advocated by various elite Olympic Weightlifting coaches. This post gives instruction on performing the first variation. The body is set with the hips slightly higher than the knees. The head and neck are in line with the spine or tilted back slightly which will facilitate the spinal erectors. The lifter takes a large breath to fill the abdominal cavity with air and lifts the chest and sets the scaps, grasping the bar with an overhand grip. Maintenance of a good hip shoulder line is vital in preserving tension and so rigidity during the clean. Should the rigid hip shoulder line be compromised and the back start to round then some of the force produced by the lower body will be lost by the flexion of the trunk. Keeping this good hip shoulder line comes from isometric tension of the postural muscles. When grasping the Olympic bar, care needs to be taken in order to not grasp the bar too tight as this will cause tension to travel all the way up the musculature of the arm. Excessive tension in the arm can impede a seamless transition from extension to flexion during the Clean and the same can also be said from flexion to extension during the Jerk due to the firing of the antagonist muscles. Advanced practitioners of the Olympic lifts have an effortless sequence of relaxation and tension of the muscles used. The weight should be passing down through the balls of the feet and as the first pull is initiated the weight is shifted backwards towards the heels as the bar rises towards the knees. 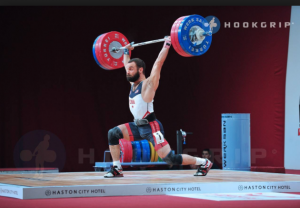 The Clean & Jerk as with the other Olympic lifts is one of those lifts where becoming technically proficient comes from continuous repetition of practice. The ability to pull the bar comes from being able to generate force through the feet into the ground. The lifter should aim for maximum acceleration from the onset. The first pull is very important and if done well the barbell’s own inertia will keep it moving vertically. As with any other lift, good form/technique is key, the first pull should be as fast as possible but not at the expense of good form. The greater the lifter’s starting strength the better the first pull. A slow first pull makes it very difficult to have an ‘explosive’ second pull and so therefore makes preparation for ‘receiving’ the bar very challenging. Also called the ‘scoop’ or ‘double knee bend’, the second phrase is a very confusing term which causes some beginner lifters to incorrectly bend the knees twice. The bar moves upwards, knees slide forwards and underneath the bar and the lifter has now moved into the power position. The speed that the knees shift under the bar is also essential in generating optimal height of the bar. This is the most powerful phase of the clean, a vigorous triple extension followed by a shrug with the arms remaining straight until the end of the shrug. The bar doesn’t stop moving and the arms remain straight, at which point they will slightly bend and the elbows become high. When watching a high level lifter moving from the transition phase to the second pull the speed of the movement is so great that the bar almost appears to bounce off the thighs. The lifter should prepare to change direction before triple extension is complete. Preparing to change direction before completing the second pull enables the lifter to efficiently move under the bar and so completing the pull is not a conscious effort. This does not mean full extension does not occur. If hip extension is incomplete the lifter will jump forward in the catch. When the bar reaches the highest point the lifter enters the catch and rapidly get his/her body under the bar and repositions the feet to an overhead squat position. As he/she drops they rotate the wrists and the elbows move forwards and up with the bar resting on the anterior delts. If the bar is caught around parallel the lifter can get a good bounce out of the bottom and so making good use of the Stretch Shortening Cycle (SSC) to increase power output. Rising in a standard front squat. With the elbows high, there is a slight pause and a deep breath followed by a small controlled dip. Aggressive extension, throwing the head back helps to get more extension and moves the face away from the bar creating a clear straight path for the bar to now travel overhead. Failure to do so will mean the bar is a little forward and the lifter will have to quickly move forward to try and save the lift. Extension is so powerful that the feet leave the floor for a split second before the lifter drops down under the bar into a split stance with the arms fully extended. Once the arms are locked overhead if the lift was good the feet will usually return to level from a combination of the front foot moving back and the back foot moving forward. Effective use of the SSC is also key when performing the jerk component of the lift. The type of strength used when switching rapidly from the eccentric phase (bending the legs) to the concentric phase is ‘reactive strength’. The faster this switch from eccentric to concentric the higher the level of power produced. The deadlift strengthens the whole body, protects against injury and transfers well to everyday activities. The deadlift works just about every muscle in the body with the primary muscles used being the largest – the hamstrings, glutes and quads. This making it an excellent exercise for fat loss especially when doing high volume. Because of the amount of muscle used in the lift there is an elevation of the metabolism so calories continue to be burnt at a higher rate post workout. 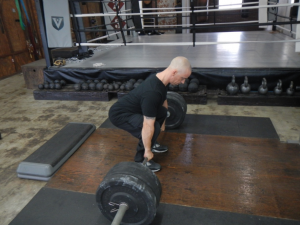 Get proficient at the deadlift and great strength will follow. Not only is the deadlift a great lift for becoming strong it’s also a great lift for packing on muscle. The lifter can really push for an improvement in weight lifted because as long as technique is good then there is very little danger of injury, no spotters are needed and at the point of failure the bar can be dropped. Deadlifts are one of the best exercises for abdominal development and as long as the abs are not covered in fat then the results will be visibly much better than any abdominal isolation exercises. Equipment: Barbell, weight plates, floor protection. The good thing about the Barbell Deadlift is that very little equipment is needed. A good quality bar is recommended, as with anything else you get what you pay for and you should get the best that your budget allows. For this lift there is no need to use a more expensive competition Olympic Bar which has more ‘whip’ and is the preferred bar for Olympic lifts. A bar like the Rogue Ohio Bar or the Texas Deadlift Bar are ideal. Good quality bumper plates are excellent but really strong guys may prefer Powerlifting discs, which are thinner metal plates and which enable more weight to be added to the bar and so the discs will also be closer to the centre. Stance width, narrower than the squat, the bar should be over the mid-foot. From here a vertical bar path can be maintained with the line of force directly over the mid-foot. Foot position should be what feels comfortable, taking into account fick angle (natural foot flair). It would be detrimental to force someone to point their feet straight ahead if this then forces their knees to be slightly rotated inwards. It is not a squat, the hips should be slightly higher than the knees. An ability to hold a good hip shoulder line and hold an active lordosis with a neutral curve is needed. A mistake that many people make to ensure they don’t round their lower back is to anteriorly tilt their pelvis. This causes a loss of ROM because a large part of hip flexor ROM is used resulting in jamming up early at the hip. Also there is increased compression of the lumbar facet joints. Acromion – lateral extension of the scapula, forming the highest point of the shoulder, this is the point that should be over the bar. If this point is behind the bar the hips will be too low and if it’s in front of the bar the hips will be too high. Once the lifter knows how this position feels they will be able to find it every time. The key to lifting well is staying tight. Slightly lifting the toes while addressing the bar puts a lot of tension through the fascia all the way up the back of the legs, tension is built on the way down before grabbing the bar. This technique limits forward knee progression and stops the lifter being too upright, so now recruiting more hams and glutes and less quads. The hips can now move back away from the base of support instead of just dropping down and so much more tension can be created. Grip the bar so tight that the knuckles turn white creating tension not just in the arms but the mid-section will also brace, a holding of breath and clenching of the teeth will potentiate the nervous system and increase the body’s ability to generate force. Before gripping the bar a big breath is needed to fill the abdominal cavity with air.The chin needs to be slightly tucked. Just before the weight is lifted from the floor there is a point where the bar rises inside the plates and a clicking sound is heard. The lifter should feel nice and tight with the weight passing down through the mid-foot to heel, this is the point at which the lifter should know whether to go ahead with the lift or stop and readjust.The first stage of the lift is similar to an Olympic lift in that the bar is raised while the hip to shoulder line remains the same. As the bar is lifted the knees go back and the line of force remains over the mid-foot. The second part of the lift happens once the bar clears the knees, instead of continuing to lift the bar vertically the lifter performs a horizontal hip drive. It has to be noted that it is hip extension not extension of the lumbar spine. A good coaching point is to contract the glutes at the top instead of leaning back. Lowering the bar should be a mirror image of when the bar was raised. 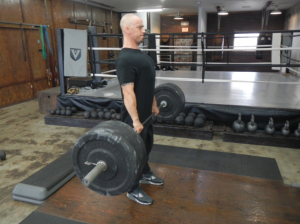 It should look very similar to a Romanian Deadlift until the bar clears the knees and once it is below then the hips can drop down again to the correct starting position. It is probably best when not lifting maximal loads to use a pronated (overhand) grip. An alternate grip can be used but if lifting high volume it would be wise to alternate the grip every set to avoid creating imbalances. An alternate grip can be used for maximal load low rep sets because it enables the lifter to move more weight because it’s harder for the bar to roll down the fingers. There are those that advocate not using a mixed grip at all, much preferring to continue with a pronated grip and adding straps to aid with any potential grip problems. This is an excellent view that is difficult to argue with as the potential for biceps injury in the arm using the underhand grip is quite high. One point that needs to be noted is that if straps are used then the lifter should remember to still ‘white knuckle’ the bar, in order to still create the same level of tension and potentiate the nervous system, also reducing the chances of injury that could arise from relaxed musculature while performing this very demanding lift. It is advisable to use chalk for deadlifts, if it’s difficult to use chalk in the facility because of the mess that can be made there is a product called Liquid Chalk which works the same but with none of the mess. 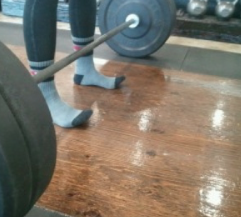 The best footwear for deadlifts are those that have a thin firm sole such as chucks (converse), five fingers or even performing the lifts in socks or bare feet. Are there considerations when training women? As with a male the same principles apply, big basic compound movements are king, exercises such as squats, deadlifts, bench press etc. will be of benefit when it comes to performance enhancement or body transformation. Women although usually smaller and with less muscle mass do have the potential to gain the same muscle and strength (relative to lean mass) as men. Meaning the structure of a programme that features the principles of intensification, accumulation, rate of force development (RFD) etc. should be the same and works just as well whether for a male or female. Although there are recognised lengths of rest periods depending on the goal, it needs to be noted that a person who is taller or has more muscle generally needs more time to recover between sets, especially when performing the big compound movements. Meaning women, especially trained women can recover faster. Women also require less rest than men because they have greater muscular endurance, a woman can have her rest decreased by 30% and because females can recuperate faster even from a maximal effort the rest time between sets can be reduced and she can still get strength gains. A positive aspect of being able to take less rest is that more sets can be done in the same time and so a greater volume with the same intensity eg. 80% 1RM will achieve a greater response. A difference that needs to be taken into account when designing resistance programmes for women is that at a given percentage of 1RM a female can generally complete a higher number of reps than a male. Women can achieve very good results in body composition changes with higher rep ranges especially novice or untrained women. Not only will a lot of women feel more comfortable with sets of higher reps but they will achieve rapid results with sets as high as 15-20 reps for instance. If training to get leaner, fat loss whole body workouts work well and are a wise choice. Women tend to prefer the general fatigue that comes with whole body workouts as opposed to the local fatigue that comes from a split and beginner female lifters seem to do very well on circuit type workouts. The above recommendations are targeted at females with little/no weight training experience, women with a performance background and/or higher strength levels can excel on the same programmes as men i.e. low reps at higher intensities with longer rest periods. Two workouts made famous by coach Charles Poliquin that work well with women are German Body Comp (GBC) and German Volume Training (GVT). Both of these workouts have shorter rest periods than the average male gym user would typically use. GBC is designed to burn fat with a welcome side effect being it will also add some muscle. GVT is designed to add muscle and this new muscle will result in fat loss caused by boosting the metabolism and so burning many more calories at rest. GBC or as it is also called Lactic Acid Training is a programme where by the majority of the exercises are compound and are prescribed with short rest periods. The short rest periods lead to a high production of lactate, this high production of lactate leads to a significant increase in growth hormone (GH) which in turn results in rapid fat loss. HP – High Pulley. Tempo – 3-0-1-0 = 3 secs negative, no pause between negative and positive, 1 sec positive, no pause between positive and negative. 1st number is always the negative eg. squat 3-0-1-0 would be 3 secs down, no pause at the bottom, 1 sec up, no pause at the top. GVT works very well when used with big lower body exercises such as BB Back Squats. The progression in % 1RM workout to workout is an example. In the first workout 60% 1RM should be used, the % should be raised each workout by 2.5-5% but only when 10 sets can be completed. Whilst completion is the ideal, it needs to be noted that it is not the goal, the goal is for a drastic change in body composition, therefore if that is achieved then the programme was successful. The average woman should not worry about ‘getting big’ from resistance training (if it was that easy every guy in the gym would be massive), there are some genetic freaks out there that like their male counterparts only have to look at a weight and their traps grow. These women are very few and far between but they do exist. Sometimes these women for one reason or another want to look healthy and lean but not look like they ‘lift’. Example of a circuit type workout that is usually successful for women that want no/very little muscle growth. Women, irrelevant of training experience tend to have a dramatic imbalance between the Quads & Hamstrings with the Quads tending to be dominant. With this is mind it is always a good idea to focus a lot of attention on the posterior chain. Also because of the greater Q Angle that females have at the hip special attention should be placed on the position of the knee when women are performing athletic movements. For those that train pregnant women, strength training should be done at a higher intensity with lower reps eg. 1-5, avoiding workouts that cause excessive perspiration. Pregnant women can perform most exercises well but using machines such as the adductor and abductor ones that are seen so often in commercial gyms should be avoided because of potential instability problems caused by the hormone Relaxin. 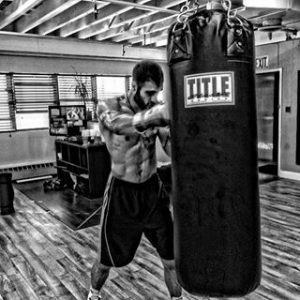 combat sports training, combat strength training, mma fight training, combat workouts, combat athlete training, boxing training, fighter training. A big welcome to 3 outstanding combat athletes who joined the team this week. 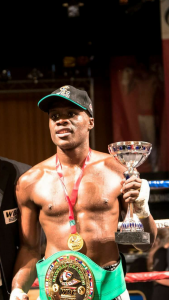 Stylianos is now concentrating fully on boxing and after a couple more amateur fights plans to turn pro. He is training to increase his power while still fighting at the same weight. Professional K1 and Muay Thai fighter. WBC National English Middleweight Champion. Marcel is training to be stronger and more explosive at a lighter weight. Cesar has experience in Muay Thai and MMA but his main area of expertise is as a competitive BJJ practitioner. He has competed this year in 6 tournaments and placed 3x. Cesar is training to become monstrously strong while still competing in the same weight class. 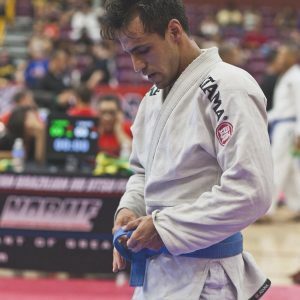 How does a typical fighter’s training compare to athletes of other sports? 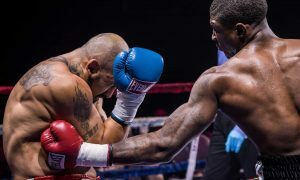 When certain people see something written about S&C improving a fighter by making them stronger and faster they will argue their case about technique, leverage etc. Nobody thinks that making someone more powerful will turn them into a high level fighter if they are not already proficient. The fact is no matter what level someone is at in relation to technique, improving power will make that individual better than they themselves previously were. If someone was to look at the strength & conditioning of an MMA fighter there is a chance that they would be impressed, obviously not all fighters, but there are some fighters out there that are on the ball when it comes to their performance training. There are excellent strength coaches working in the sport and because the sport is relatively new then both coaches and fighters are keen to embrace and learn any training concepts that can take them to the next level. The observer watching the training of a fighter that does have a real Strength & Conditioning Coach would see periodised programmes working on body composition and correction of imbalances, improving strength, energy system work and training to increase Rate Of Force Development (RFD). If the same person was then to look at how 99.99% of combat athletes from other sports/disciplines train they would see a totally different picture, mainly because they are so old school and so something is done because it always has been. It does seem that times are changing though as far as western boxing goes dependent on geography, British and Eastern European boxers are stepping up their game and are training to become much more powerful, they now seem to have got the message that training to improve power takes them to another level while their American counterparts are still swimming and doing 10 mile runs while in camp. There may be a shortage of top Australian boxers but those that are doing the business also seem to be employing high quality strength and conditioning coaches that know better than to have their fighters doing out of date training that has no benefit to performance enhancement. Because boxing, Muay Thai etc. are so ‘old school’ in terms of the philosophies in the sport in regards to training then it’s difficult to bring the programmes up to a level where they are comparative to other elite level athletes. It’s quite shocking when you consider what’s at stake in terms of potential serious injury or even death and also the vast sums of money that are involved in these sports, boxing especially. For those combat athletes that are ‘skinny fat’, usually due to poor or a lack of strength training coupled with excessive aerobic work, being in better condition would mean that the fighter could either come in lighter by retaining the same level of muscle but be leaner. Or they could fight at the same weight by replacing the excess fat (useless weight) with high quality functional muscle. Trained correctly, a fighter that is in good shape with a low body fat % can easily still become lighter but also at the same time stronger by focussing on Relative Strength and increase explosiveness once a good foundation of strength is built by training for an increase in RFD. Generally these fighters have resistance training experience but it tends to be of the type seen in a typical gym performed by non-athletes. There are still old school boxing trainers around that have their fighters doing absolutely no strength training, they believe that the best conditioning for a boxer is standard boxing training in the gym combined with long steady paced runs early in the morning. These trainers imagine that if I fighter is lifting weights, even if done correctly, that he is bodybuilding. There is a massive difference between bodybuilding and strength training for increased athletic performance. What if a fighter can fight at the same weight but be faster and much, much stronger? Everyone in the fight game talks about power, the definition of power is force x velocity. Strength training will improve power in the untrained/moderately trained athlete so just by increasing strength power will also increase. There are fighters who do understand that they need to do strength & conditioning but the majority of these guys are way, way behind where they should be. Doing battling ropes or a little weight training programme in a commercial gym or in the local park really isn’t the level that any combat athlete never mind a potential world class fighter should be at. It is pleasing to see an effort being made by those that want to progress using methods such as Modified Strongman Training (MST) but there is still a lack of understanding in how it should be programmed and also what correct technique actually is. Another problem with the training of the majority of fighters is their road work which is usually a long sub-maximal run. During a bout/match a fighter does not perform at a continuous sub-maximal intensity non stop for 30+ minutes, it’s the complete opposite. Some fighters even run 10-15 miles a day with the belief that if they are conditioned to last longer they can’t go wrong. The goal should be to be a super human for the duration of the fight not a low level long distance runner, a fighter should not practice being proficient at 90 minute sub-maximal runs to be powerful for a much shorter time frame. However it would also be a HUGE mistake to think that no specific aerobic conditioning should be done and that HIIT will take care of everything. It is very true that the aerobic system will become better conditioned from performing intervals but and it’s a big but, it is aerobic power that will improve not aerobic capacity. When the tempo is slowed down, the fighter who has not specifically trained the aerobic system will feel like he/she is dying. However good you think you are, there is always someone who can change the pace of the fight and slow it down or speed it up, taking it out of your hands. Boxing is largely an anaerobic sport, it’s high intensity bursts of fast combinations, the slower component between these intense bursts is the aerobic part of the fight. Combat sports such as Muay Thai, MMA, BJJ do require great strength and the ability to be explosive to compete at a high level but the longer the contact is between combat athletes the greater the aerobic demand. Grappling obviously does involve contact for much longer time periods but even the clinch in Muay Thai means contact between the fighters is much greater than in western boxing. An aerobic base is definitely required by any fighter. What most do incorrectly is still performing these long aerobic runs during camp, this is the time to become powerful. A fighter will always have a good aerobic base because there is a very good chance that throughout their career they have done way too much aerobic work, unless for some reason they haven’t ran for a long time, but still this fighter would get the base back in a matter of weeks. Once the base is built only maintenance is required, once a week max is all that is needed. The traditional way of carrying on with the daily long runs during camp will massively hold back the development of power. The opposite is also true, when the goal is creating exceptional aerobic fitness, training for power gains will hold back the process. A S&C coach working with a fighter should be able to identify the key factors that affect strength, power & performance and the principle adaptations that occur in these systems as a result of a strength and conditioning programme. It’s the coach’s job to identify the key fitness components of the sport/art and analyse the optimal methods to elicit positive adaptations in these systems. The competent S&C specialist will integrate fitness components resulting in adaptations in strength, speed, power, endurance, agility and flexibility. A grappler’s training would be in many ways different to a stand-up fighters and the coach of an MMA fighter would need to combine what each does to make a more rounded fighter, if done correctly the performance training of an MMA fighter can be more difficult to get exactly right, but that is the big statement IF DONE CORRECTLY. After performing an individual analysis of the fighter the coach needs to then programme, monitor, evaluate and finally adapt. A programme has to be written with the end in mind, starting with a needs analysis so that there is a base for evaluation. The needs analysis looks at the sport and at the fighter as an individual, at his/her training age, physical capacities, stress tolerance and psychomotor skills. Max Strength – the peak force produced in a single maximal voluntary contraction. Reactive Strength – the ability to rapidly change from an eccentric contraction to a concentric contraction. Speed Strength – the ability to produce the greatest possible force in the shortest possible time frame. Starting Strength – the ability to generate maximal force at the beginning of a muscular contraction. RFD – measure of the rate at which force is developed. Strength Endurance – the ability to tolerate muscular fatigue. Relative Strength – maximum force that can be generated per unit of bodyweight. Also for the grappler Isometric Strength and Explosive Isometric Strength along with the ability to absorb force would be of utmost importance. The training must be specific, it must replicate the demands of the sport and there must be a high degree of transfer. Bioenergetic – Energy patterns/systems used. Intensity, duration, work to rest ratio. Kinematics – Description of motion. Direction and range of movement, speed of movement and muscles involved. Kinetics – Relationship between forces and movement. Which muscles and the recruitment pattern. Force patterns e.g. RFD. Mobility – The ability to move easily and without restriction. Maximal Effort Method – superior for inter and intra muscular co-ordination. Max # motor units (MU’s) recruited. Dynamic Effort Method – trains RFD. Trains explosive strength. When training for performance and not aesthetics certain principles should be used. When choosing exercises to improve combat performance they must be those identified in the needs analysis. For example it’s a safe bet to use the BB bench press, incline BB bench would be an even better choice as the angle would be closer to the angle of the body when throwing a punch and incline DB bench would be better still because the stabilisers of the shoulder joint would be worked more. Although maybe not an obvious choice, the standing overhead BB press would also be an excellent exercise for the simple fact that it is floor based and power is generated from the floor. This is also the reason why boxers should never neglect leg training. Sometimes isolation exercises may be written in a programme to correct an identified imbalance but generally multi-joint, compound exercises are most productive. A fighter’s programme should be built around a few key primary exercises and their variations which have been identified in the needs analysis. Explosive exercises such as Olympic lifts should always be first in the workout. Large muscle groups should be trained before small and multi-joint before single-joint. Strength is always the mother quality, if a fighter has high strength levels then everything else is easier, he/she is always working at a lower % of their maximum. Also when there is a good base level of strength then the fighter’s RFD can be focussed on, resulting in great power. 2 Comments on How should fighter’s train? Yas Parr Blog is Here! Yas Parr Blog will be coming soon! 1 Comment on Yas Parr Blog is Here!